Disclosure: Compensation was provided by Guardian via MomTrends. The opinions expressed herein are those of the author and are not indicative of the opinions of Guardian or Momtrends. It is two am. Who gets up at two am? This girl. Well, let’s be clear this girl and her puppy. You see we have a new member in our family. She is working on the potty training thing. She is also working on staying with the person who has her out on a walk. She takes off right into the woods. That means that we are running into the woods right after her. That is why this year it is more important than ever to use an insect repellent I can trust. 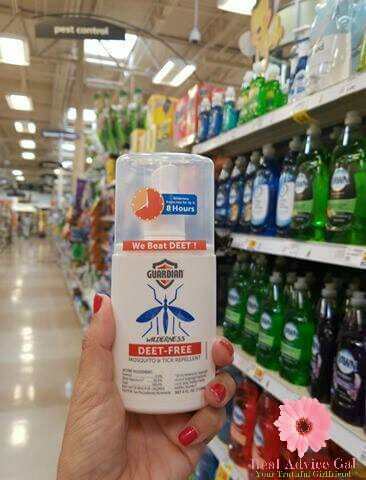 It has to be a natural and DEET-free mosquito repellent that actually works. 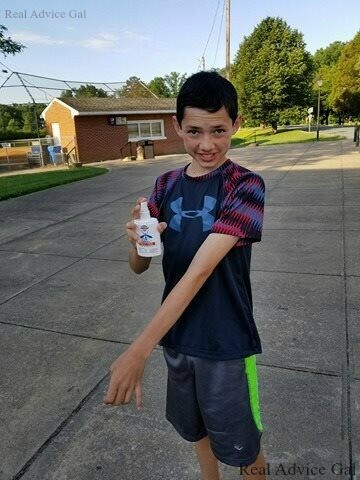 We like Guardian Insect Repellent and feel like it is the best Non-Toxic repellent. It is important to me to use something on my children that I can trust. We aren’t the type of family that sits still, and we happen to live near a fishing pond which my children walk to nearly every day or as soon as I say turn in all electronics. They take the puppy on a walk. The grass is often tall, and I fear without the protection of Guardian they could get bitten. Why is Guardian so useful? There is nothing worse than having your child bitten when you could have easily prevented it. We know how important it is to protect the people we love after seeing my father in law deal with Lyme disease. That is why Guardian is in a basket by our door, and I have one located in the door of my van. 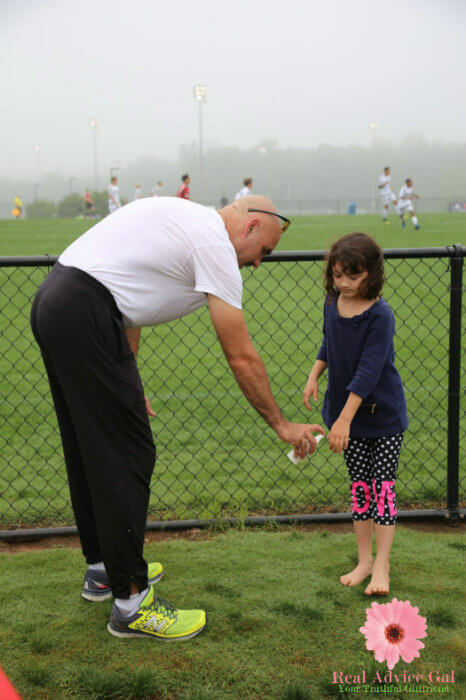 You never know when we will stop to hike or find a patch of flat grass for my budding soccer stars to conquer. Guardian insect repellent will protect your family from getting bit by ticks and mosquitos. Guardian is the perfect alternative to DEET bug repellents. If your family is much like mine, we want the best protection possible but, would love to stay away from all the harsh chemicals found in your typical bug spray. I cringe every time I put the chemically laden repellents on my kids and myself but, also cringe at the thought of any of us being bit. With Guardian products, you can have both protection and no chemicals. Not only are we worried about the pesky mosquitos but, ticks as well. Those tiny creatures seem to be lurking everywhere. Guardian’s Wilderness formula has been shown to repel ticks for up to four hours and mosquitos for up to eight hours. This means, lots of protection with no need to constantly reapply. Since Guardian is plant based and natural with a citrus-vanilla scent, I no longer need to worry about the less than pleasant lingering smells of other repellants. I can feel confident that my family is safely protected when used as directed. It is perfect for those who just don’t want to use all those chemicals or, even those who are sensitive to other bug sprays. You can find Guardian products at your nearest Kroger Store. If you don’t have a Kroger store near you, you can still get Guardian products for your home on Amazon.com. For shorter adventures, Guardian Backyard 4-hour repellent are also available on Amazon.